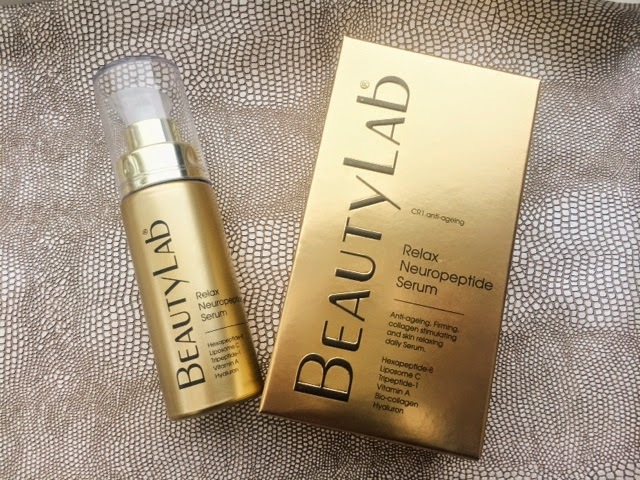 Beauty lab Relax Neuropeptide serum is made for daily use and is supposed to give instant results, to reduce wrinkles and fine lines lasting up to 8 hours. I've been using this for about 2 weeks now and have noticed the change quite prominently. I've been using this under my eyes mainly and on my forehead, it leaves my skin feeling healthy and relaxed reducing the harsh lines which I normally have around my eyes. I would definitely recommend this to anyone who feels that they struggle with finding a product which will reduce wrinkles as this is excacally what this product does! It does what it says on the tin which is hard to find with products these days. This can be used for people of all skin types making this a great all round product for everyone. This is available to purchase on the beauty lab website and from Harvey Nichols the price is currently £45 which is expensive but is definitely worth it for instant results which I haven't experienced from a product of this nature before.